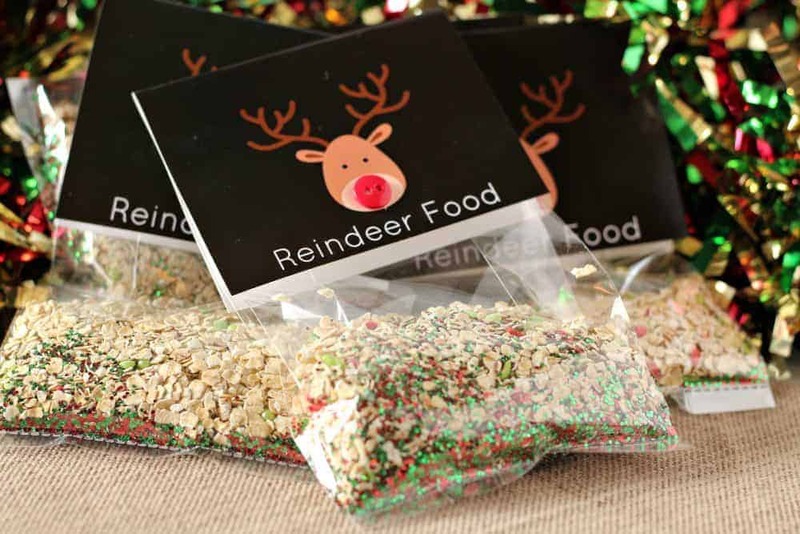 This “Magic” Reindeer Food is such a fun activity to do with kids during the holiday season and would make a great edition to the 25 Days of Christmas Bucket List if you ask me. 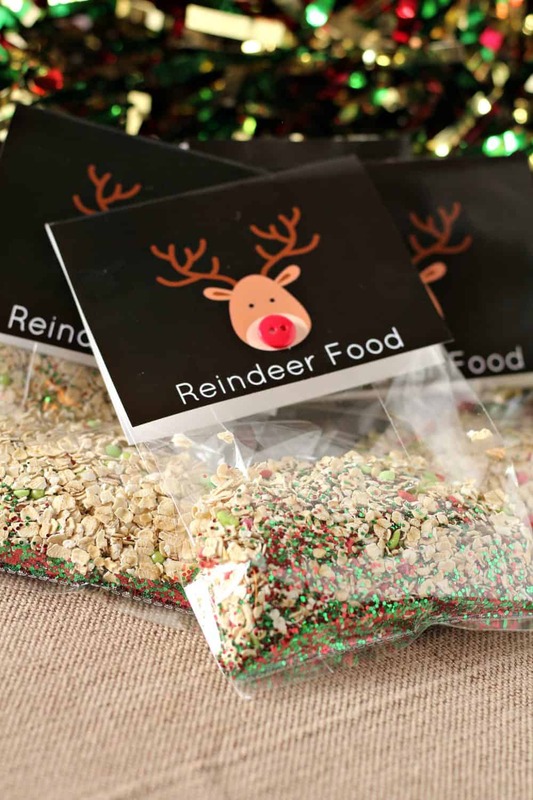 Using the printable Reindeer Food poem and some simple ingredients, you and your kids can whip up a batch of this sparkly reindeer food in no time! It’s fun to make several bags to share with friends this year too! This mix is totally easy to make and only requires a few ingredients! 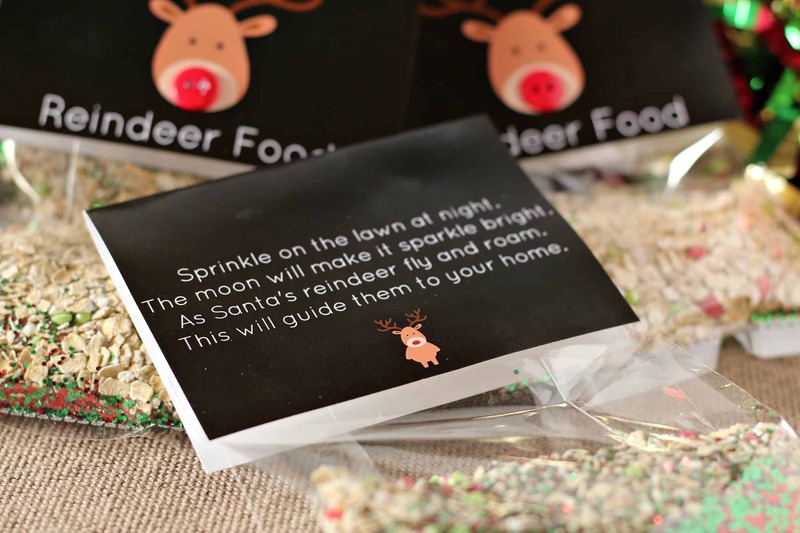 Print the Reindeer Food Poem here. 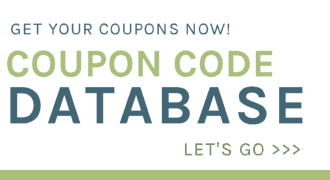 Print off as many as you need. Best if printed in 4×6. 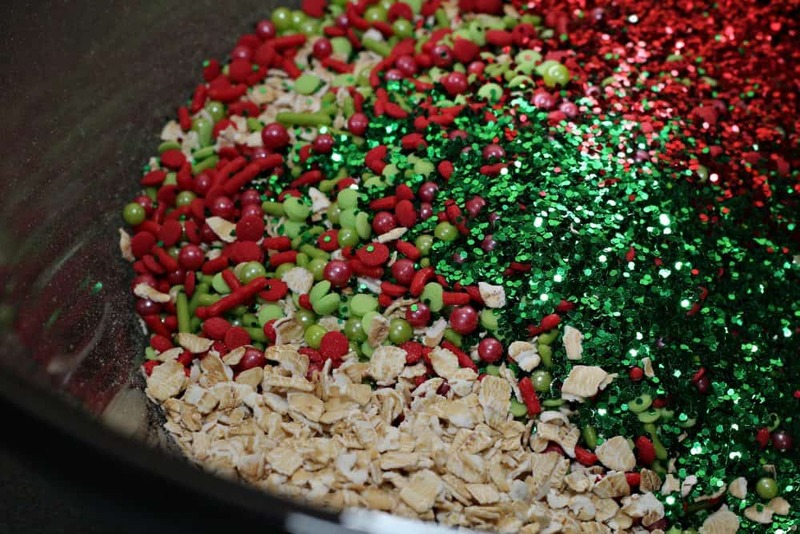 In a large mixing bowl, mix your oats, sprinkles, and glitter. 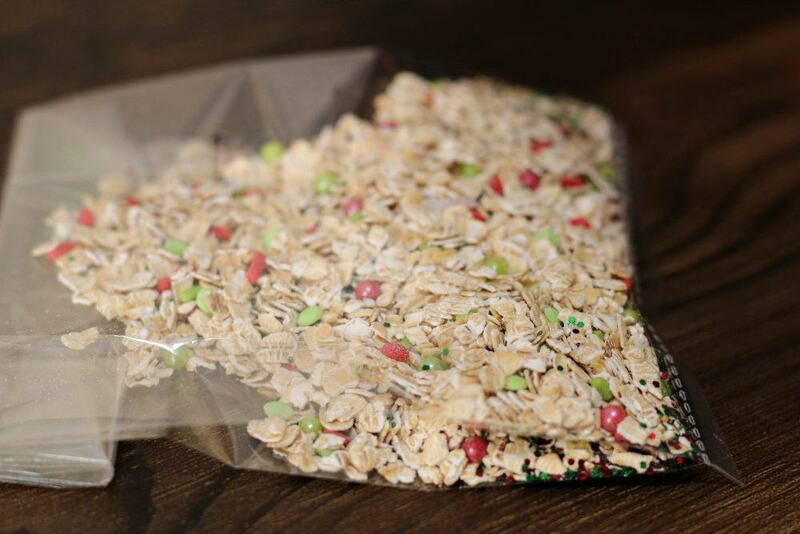 Put a scoop of the mixture into each bag. 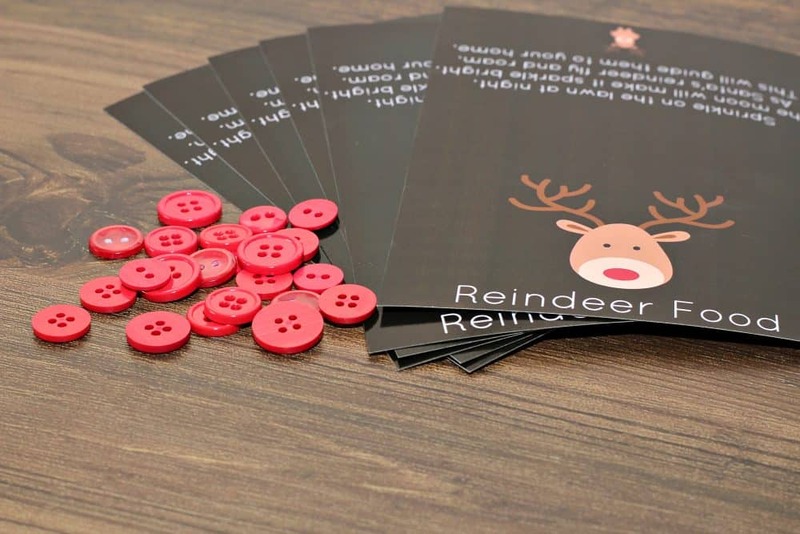 Glue one red button on to the nose of the reindeer on each printable. Flip your printable over and cover the backside with glue. 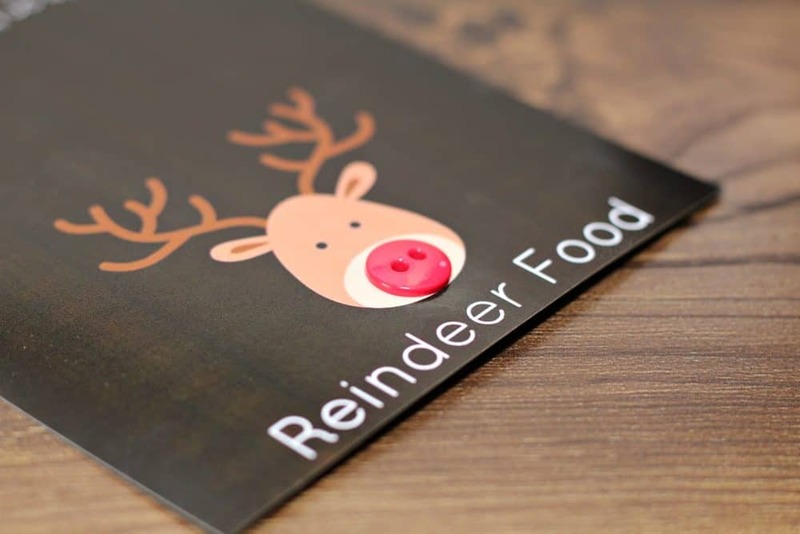 Pass out treat bags and let the kiddos enjoy feeding the reindeer!